This is probably of the most predictable and brazenly syrupy rom-com you will see this year. Take a little Manhattan (Woody Allen, 1979), add a pinch of Notting Hill (Roger Michell), the toss in a few more decades and a lot of grey hairs. And this is not a dirty movie; in fact the Hampstead you will see is very much sanitised. I had every reason to dislike this movie, as I’m a filthy boy always looking for the dirty side of cinema. Yet I have to confess: I very much enjoyed Hampstead. This is indeed my guilty pleasure. The movie in very loosely inspired on the life of Harry Hallowes, the Hampstead Heath squatter, who was eventually made the sole proprietor of his land piece and became a millionaire by selling it. British filmmaker Joel Hopkins concocted a love affair for the grumpy old man, impersonated here by Diane Keaton (the same actress as in Manhattan, nearly 40 years older). Harry is now called Donald (affectionately nicknamed “Donald Tramp”, and played by Brendan Gleeson), while Diane’s character is the American widow Emily. The plot goes more or less like this: Emily can’t her handle expenses since her husband’s death a year earlier, and she could face potential eviction from her luxury flat overlooking Hampstead Heath. Her posh neighbours step in in order to help, and they try to hook her up with slimy financial advisor James (Jason Watkins), whose smile looks a lot like Austin Powers’s. She begins to peek on her eccentric hermit neighbour Donald Tramp with her binoculars, the two eventually meet, fall in love, but then Donald is facing eviction. To her neighbours’ despair, Emily joins forces with Donald in a legal battle against a powerful real estate establishment and, against all odds, they win it. Those familiar with Hampstead will realise that the district depicted is hardly plausible. While shot in location with the numerous rhododendra and holly bushes that make up the park, any local will know that access to Highgate Cemetery is highly restricted and no one would dream of having a picnic on the Circle of Lebanon. And the 24 bus doesn’t go anywhere near Regent Street and East Heath Road. But that’s ok, that’s just a fable and none of this matters at all. What did bother me a little if the fact that their intimacy is pretty much sexless – I’d like to think that old people get very cheeky and naughty like most of us do. Well, this is a cheesy and commercial rom-com, so Joel Hopkins opted not to show aging bodies that do not abide to our strict beauty demands. The Guardian accused the “grey pound” of ruining British cinema, and Hampstead promptly received a guilty verdict. Well, despite having a few grey hairs on my moustache, I do not belong to this statistic and I thoroughly enjoyed the movie. This is lighthearted fun devoid of dark subliminal connotations and with a message of reconciliation of classes, effective in its unabashed sloppiness. Go see it regardless of your age, just don’t expect an innovative and subversive piece of filmmaking! 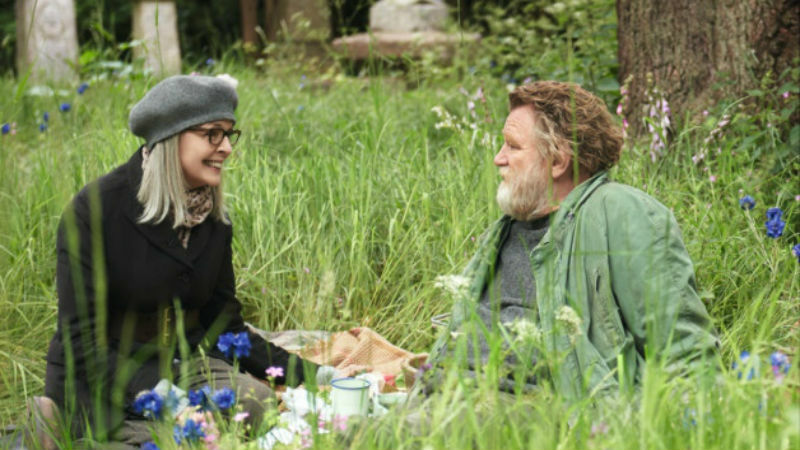 Hampstead is out in cinemas across the UK on Friday, June 23rd.